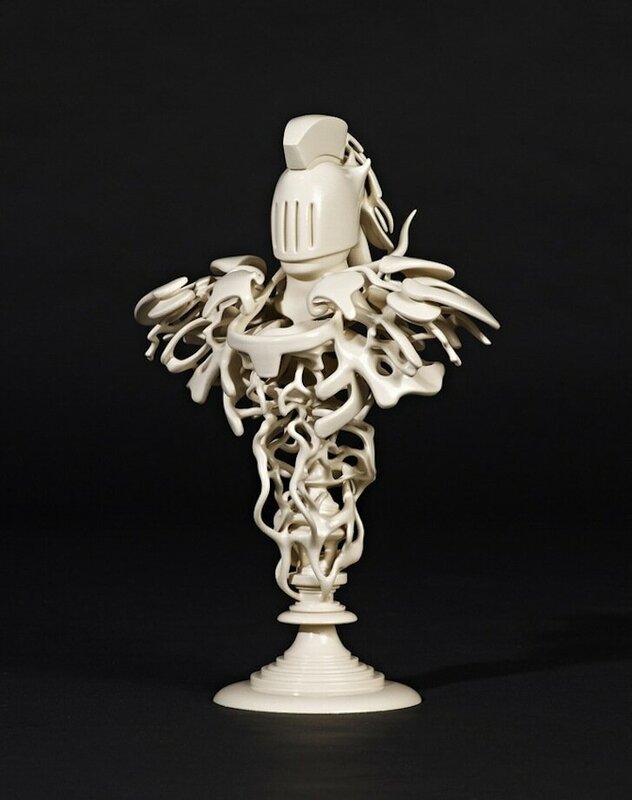 With close to perfect scores from all three show curators, Belgian multi-media Artist Nick Ervinck’s 3D printed sculpture RACHT was named Best in Show for the Bits to Its Juried 3D Printed Art Show. The show opens on April 27 at the Landing Gallery in Rockland, Maine and was organized by the non-profit Fab Lab Hub. Other artists whose entries were accepted for the show include Australian Henry Segerman and Americans Andrew Werby, Arnold Martin, Jim Stanis and Roberta Baumann. The Bits to Its show opens with a private reception at the Landing Gallery as a fundraiser for the Maine FabLab. The public opening is Friday May 3 and will run through June 16.